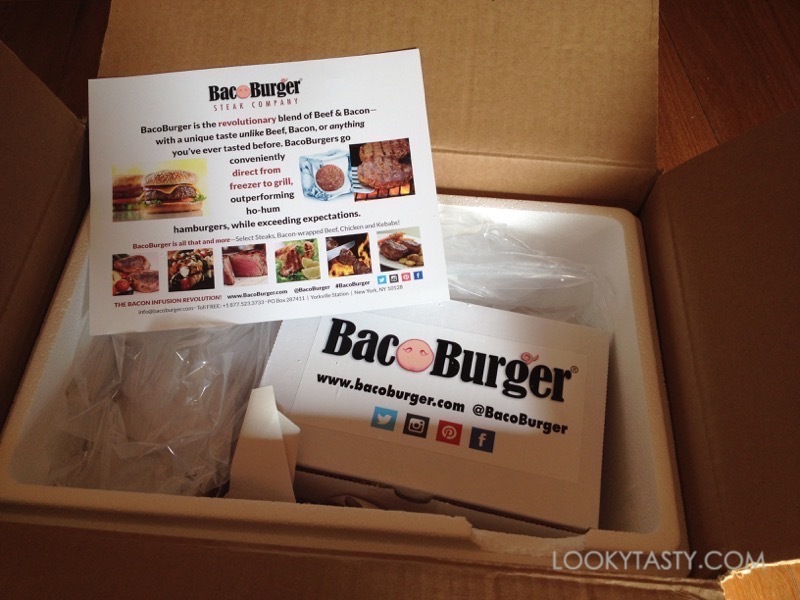 BacoBurger brings gourmet burgers to your home that’s great for any occasion, whether you’re having house guests or just simply in the mood for a tasty burger. They are no ordinary burgers though. Their burgers are enhanced with bacon. They are formed with carefully measured ratios of quality cuts of meat with premium smoked bacon to produce juicy, succulent burgers. Knowing that, we were excited to receive some of their Classic BacoBurger Patties and Wagyu BacoBurger Patties to sample. Their 5 oz. 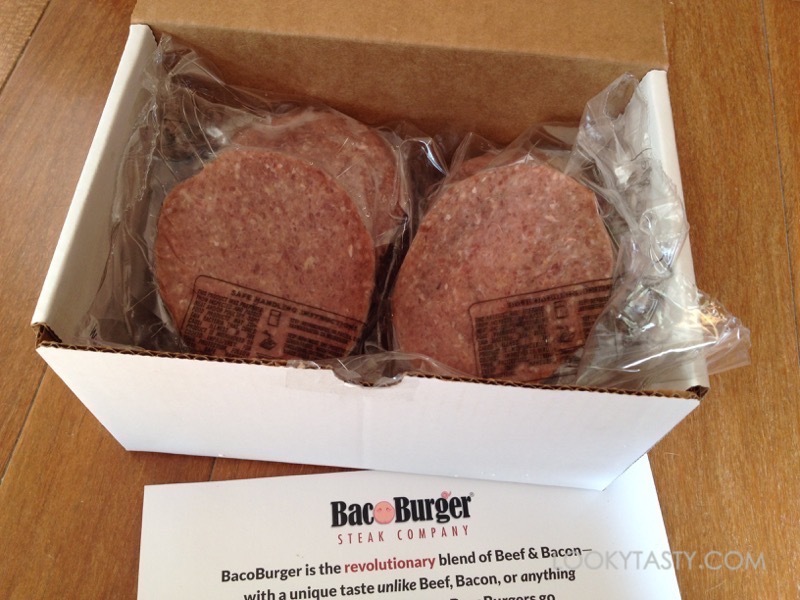 BacoBurger Classic Patties features Prime Cut Beef, blended with Select Pennsylvania Dutch Country Smoked Bacon. Their 5 oz. Wagyu BacoBurger Patties features Wagyu Beef blended with Select Pennsylvania Dutch Country Smoked Bacon. The burgers are shipped frozen, packaged in a reusable styrofoam cooler with dry ice. They arrive frozen but can go directly on the grill. Preheat the grill for at least 15 minutes before starting to cook. Then grill them over a hot flame (450F-500F) for 6-9 minutes each side, as recommended. The best way to know when the burger is ready is to check its internal temperature using a thermometer. You can also thawed the burger first. We went with this option. In this case, we grilled it over a medium flame (350F-375F) for about 8 minutes each side. Let it sit for a few minutes after coming off the grill. This helps the juices redistribute evenly. Enjoy it with bun or naked over a bed of greens. The burgers were delicious, flavorful, and definitely very juicy. BacoBurger also offers steaks, bacon-wrapped beef, chicken, and kebabs. Check them out at www.bacoburger.com. Disclaimer: Product was provided by BacoBurger for review. No other compensation was received for this post. 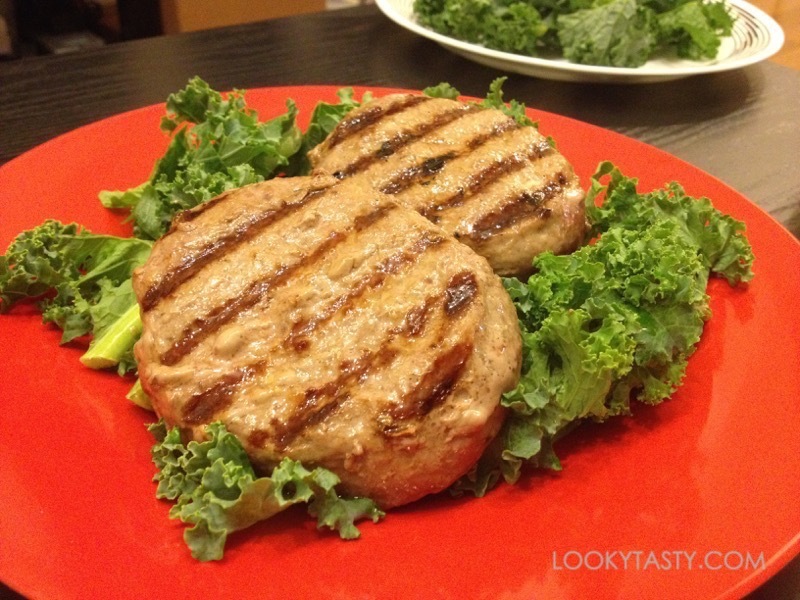 This post is written by LookyTasty and all opinions expressed are my own.